Muslim Saudi Arabia hates Jews and losing to Jewish brains. Israeli chess players on Sunday were denied the visas necessary for them to participate in an international tournament in Saudi Arabia next week, crushing hopes that they could make history by being the first representatives of the Jewish state to take part in such an event hosted by the kingdom. But on Sunday that international body announced that its efforts were for naught. 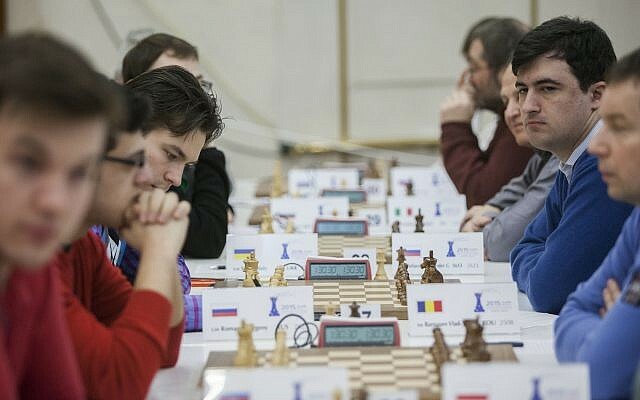 Moshe Shalev, the interim head of the Israel Chess Federation, told The Times of Israel that the players had not been granted visas and said his group was discussing taking legal action. Last month, the Israel Chess Federation said it “supports FIDE’s policy to hold the tournament in Saudi alongside FIDE’s commitment to ensure the participation of Israelis would not be subject to limitations,” spokesman Lior Aizenberg told AFP. “We expect the Saudis, aided by FIDE, to approve our requests for visas to play,” he said. Aizenberg noted the Israeli chess federation chairman Zvika Barkai had discussed the issue of the Saudi visas with Makropoulos as well as with FIDE President Kirsan Ilyumzhinov, who recently visited Israel. Israeli athletes often face difficulties when competing in the Middle East or against Middle Eastern countries due to hostility toward their country. In a recent incident, an Iranian wrestler was lauded by his government after he intentionally lost an international bout at a tournament in Poland over the weekend to avoid having to face an Israeli opponent.